Below is an email message that we received from the NSAGC. Looking forward to seeing everyone this Wednesday evening at the Hammonds Plains Garden Club meeting! First of all, we have plants for sale. 1. 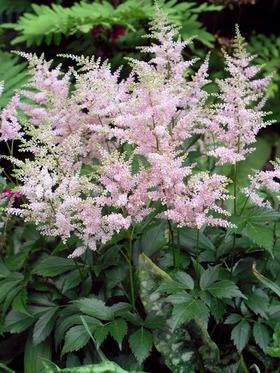 Astilbe: We have a few Astilbe Peach Blossom left over from the Salt Scapes Expo and I have them in my garage. Anyone wishing to purchase some or one can email me or call me at 902-832-7006. They are bare root plants selling for $3.00 each. This plant is deer resistant and attracts butterflies and hummingbirds. Part or full shade, will also tolerate full sun if it has enough moisture. I will be bringing these to Bedford Horts meeting on Monday evening. 2. 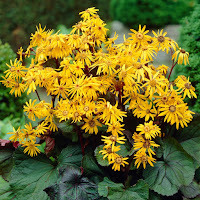 Ligularia: We are taking orders for bare root Ligularia Othello. These are selling for $2 each and I will have them available on June 5th. Payment is required ahead of time. To order these, please send me an email. (pamela.maclean@gmail.com) We will work out payment. For those who have already ordered through their clubs, there is no need to order again. 3. District Meeting: Just a reminder for District Meeting on May 7th, Registration at 9am. 4. Fourth Annual Gaggle of Gardeners Bus Trip-Thursday July 7th. Please see the following from Debbie Symonds. Hi everyone! It's almost time to Gaggle! I'm pleased to announce that the Dartmouth Garden Club will be hosting its 4th Annual Gaggle of Gardeners bus trip on Thursday, July 7th, 2016. I will require confirmation of your registration and your payment no later than June 18th. This invitation will also be open to other garden clubs and community organizations, and will be advertised extensively this year. Seats should sell very quickly! Please note that our bus is a wee bit smaller than last year so we won't be able to sell as many seats (but they assure me the loo will be working!). We have booked a 48-seat air-conditioned tour bus and I want to fill it to capacity. Please encourage your family, friends, work colleagues, and neighbours to come along with us--it's going to be a fabulous, fun-filled day of shopping and eating! Cost to register for the bus trip is $40.00 for Dartmouth Horticultural Society members, $45.00 for all others, and is payable upon registration. If you are paying by cheque, please make the cheque payable to Dartmouth Horticultural Society, NOT ME. We take cash and cheques only--no credit cards. You can give me your payment directly at one of our monthly meetings, you can mail it to me, or you can drop it off at my house (6 Aberdeen Court, Dartmouth, NS, B2X 1K4). As in the past, I'll provide you with a tentative agenda for the day (subject to change), and important things for you to remember. Meet at Mic Mac Mall parking lot. If you are facing the now-abandoned Target store, look to the LEFT of the front doors and you will see the tour bus parked there. Bus leaves Dartmouth and drives straight to Baldwin's Nurseries in Falmouth. Bus arrives at Baldwin's and we shop. Bus leaves Baldwin's and drives to Horlings Plants, Grand Pre. Bus arrives at Horlings and we shop. Bus leaves Horlings and drives to Evangeline Inn and Motel, Grand Pre. Bus arrives at Evangeline's Cafe and we eat. Bus leaves Evangeline's Cafe and drives to Glad Gardens, Waterville. Bus arrives at Glad Gardens and we shop. Bus leaves Glad Gardens and drives to Briar Patch Farm and Nursery, Berwick. Bus arrives at Briar Patch and we shop. Bus leaves Briar Patch and heads back to Dartmouth. Bus arrives at Mic Mac Mall where pandemonium ensues. Please make sure your ride is waiting for you. Do not leave your plants behind in your excitement to get home. Anyone abandoned at Mic Mac Mall will NOT have a sleep-over at my house. We strongly encourage you to take a vacation day and join us. Weekdays at these nurseries are much less chaotic than weekends, and you don't have to wait in long line-ups to pay for your purchases. 1. The cost of the tour does not include purchases made at any of the venues nor does it include lunch. 2. Please bring the following items with you (just in case): bottled water (there's a washroom on the bus), bug spray (if it's humid we'll probably encounter mosquitos, especially at Baldwin's), suntan lotion, wet wipes, light hooded jacket or hooded sweater (in the event of rain) or clear plastic rain poncho from the Dollar Store. These items can be left on board the bus if you don't need them. 3. I am going to provide you with approximately 12 stickers that will have your name clearly printed which can be attached to your purchases when they are stowed underneath the bus. Many of the centers use the same grey plastic bags and it tends to be confusing when we return to Dartmouth and try to figure out which bags belong to which people. It's all fun and games until someone loses an eye. 4. We are going to try to stick to the agenda as closely as we can, so please try to be back at the bus at the required departure times. We've never had to leave someone behind yet, but you don't want to be the first! 5. It might be a good idea to have some cash in your wallet. Not all vendors take debit cards. And I'm not lending you any money. 6. The bus has a storage compartment underneath the body where we can store our plants and vegetables and baked goods and containers and trees and shrubs and any travellers who misbehave. Everything will be safe there. 7. There will be a minimal amount of walking at the nurseries; however, we will be doing a lot of scurrying from place to place, so be sure to wear comfortable, non-skid walking shoes or sandals. Try to choose pretty ones. Ugly shoes can sometimes offend me. 8. Keep in mind that this is a long, busy day, so pace yourself and don't overdo it. I have no intention of giving you mouth-to-mouth resuscitation. 9. Gaggles are fun. Invite someone you normally shop with to join us. Remember, it's not a garden tour ... it's a shopping trip. 10. Please bring your camera so that you can take lots of photos of our Gaggle having fun. We'll share the photos later! 11. If you could stuff a couple of Sobeys bags in your purse, it would be appreciated. We might need them for plants or pukers. 12. There will be no refunds once you have paid your registration fee, so it might be a good idea to have a friend on standby to join the Gaggle in your place (just in case you get sick the day of the tour). 13. The actual agenda might change slightly by the time we actually leave. Sometimes garden centers close early, or they don't have enough staff mid-week, or they've heard about us and don't want us to come visit them. 14. Fingers crossed—if you are well-behaved, I might consider planning the Gaggle trip next year! We are very pleased to announce that the NSAGC has taken a booth at the upcoming SaltScapes Expo at the Exhibition Center, formerly Exhibition Park, happening from April 22 -24. This is not an encouragement to attend, unless you are planning on being there anyway, however, we will be selling bare root Astilbe "Peach Blossom for $3 each, and there will be a draw for a planter. The main emphases of the booth will be to promote Garden Clubs to the public and encourage gardeners to join a local club. As you know, District Meeting is fast approaching. (May 7th, at St Lukes United Church, St Margaret's Bay Rd.) The plant this year (incase you missed it) is the Rose Milkweed. Asclepias incarnata, Rose Milkweed, is also commonly called Red Milkweed, Marsh Milkweed, or Swamp Milkweed. It has a lovely vanilla fragrance, and large rosy pink or light purple flowers loved by both Monarch and Swallowtail butterflies. 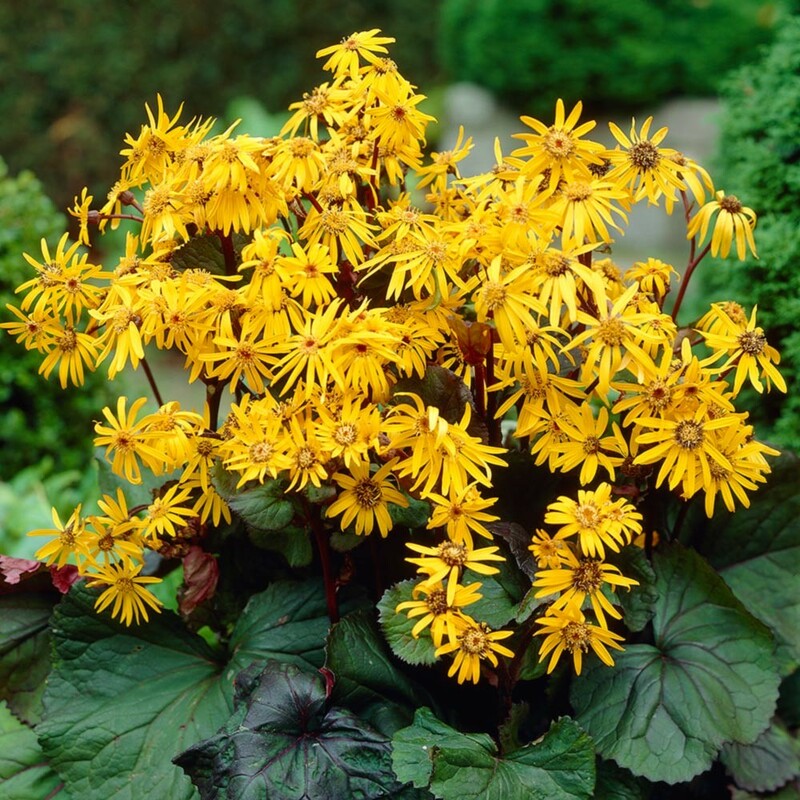 This deer-resistant plant grows in moist to average soils, and blooms in July and August. Later, large pods form which will break open to reveal seeds that will float away in the wind. It may reseed in the garden but the seeds do need to go through a winter and it will usually not bloom in the first year. I am assured they will not take over your garden. In an effort for everyone in the area to hear celebrity speaker, Sean James, FernRidge Landscaping, we, as a district, booked a large hall at the BEAVERBANK KINSAC COMMUNITY CENTER 1583 BeaverBank Rd, BeaverBank. It is about 8 minutes from the intersection between Sackville Drive (by Kent) and Beaverbank Rd. I realize it is not central, but the price was excellent and they were able to accommodate our needs. It is a new building with everything we want and will hold over 200 people. The date we booked is May 18th at 7 pm. Two topics will be selected by the Fall River Club and will be announced at a later date. They will be 2 one hour presentations back to back with tea in between. Fall River Club is contributing a large amount to the speaker and will provide the tea and coffee for the break. I was required to put a title for the booking so on the spot I called it Gardening With Sean James. http://fernridgelandscaping.com/. We would like a few volunteers to bring cookies or sweets to go with our tea/coffee. Please email me at pamela.maclean@gmail.com if you can contribute. Convention: Convention dates are June 3rd and 4th in New Glasgow at the Pictou Wellness Center. Information is available at the NSAGC website, under the tab Convention 2016. Numbers for the Hotels are Holiday Inn: (902)755-1020; Travelodge: (902)928-1333. You need to book with the hotel directly to get the NSAGC special rate. Please book your Room as soon as possible. Registration ends on May 1st. We will be meeting in a different location this month! Past and present members are invited to visit the Hammonds Plains Area Garden Club with us this month! Guest speaker, Marjorie Willison, is going to share her tips on low maintenance gardening and how to have a garden with a busy life. Bedford-Hammonds Plains Community Centre, 202 Innovation Drive, Bedford - next to the CPA High School. Go in the REC Centre entrance, up the stairs, turn left, and enter the first large room on your right down the hall. It promises to be a fun night! Please let us know if we need to update your contact information.